Telecommunications software company Envivio Inc. said Thursday it agreed to be acquired by Telecom-equipment giant Ericsson in a deal valued about $125 million. 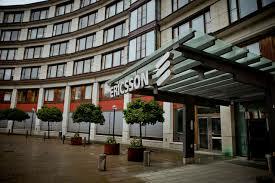 Under the terms of the agreement, Ericsson will pay Envivio holders $4.10 a share. The deal is expected to close in the final quarter of 2015. San Francisco-based Envivio is slated to join Ericsson’s TV and media business. The company makes software to process and distribute Internet protocol-based video.